A.R.Rahman is best known for his work on the score for the Academy Award-winning film, Slumdog Millionaire. The A.R. 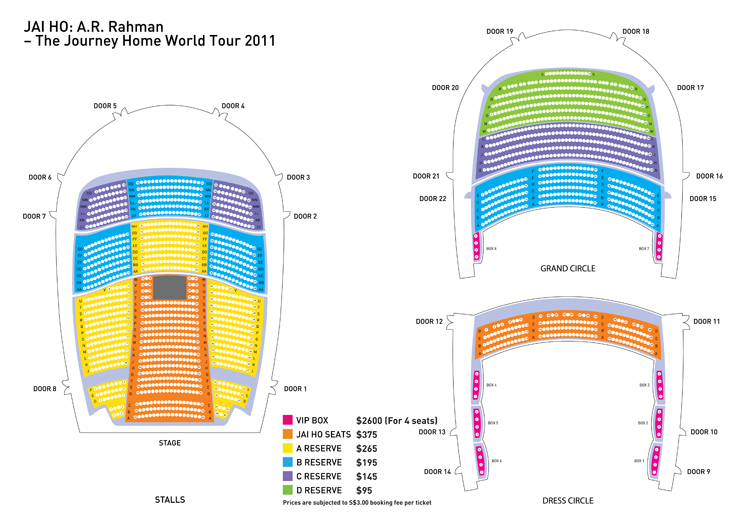 Rahman Jai Ho Concert: The Journey Home World Tour kicks off in June 2010 in New York and will span 16 major cities worldwide. Performances on the tour will include songs from Slumdog Millionaire as well as Indian films Lagaan, Jaane Tu Ya Jaane Na, Dil Se, Rang De Basanti and Roja. A.R. Rahman, best known for his work on the score for the Academy Award-winning film "Slumdog Millionaire," is back in Singapore as part of the Jai Ho Concert: The Journey Home World Tour which will play in 16 major cities worldwide. The show will include songs from Slumdog Millionaire as well as the Indian films Lagaan, Jaane Tu Ya Jaane Na, Dil Se, Rang De Basanti and Roja'. 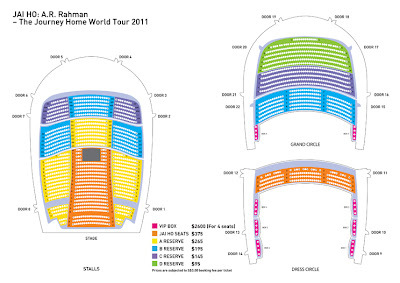 For corporate bookings and box seats, please contact Robin at 6688 1044.